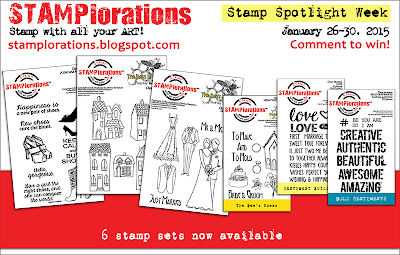 this is STAMPlorations Stamp Release Day 4 ! SIX (6) commenters randomly drawn from the designers' blogs will each win a $10 gift certificate. ONE (1) commenter randomly drawn from the STAMPlorations blog will win a $30 gift certificate. 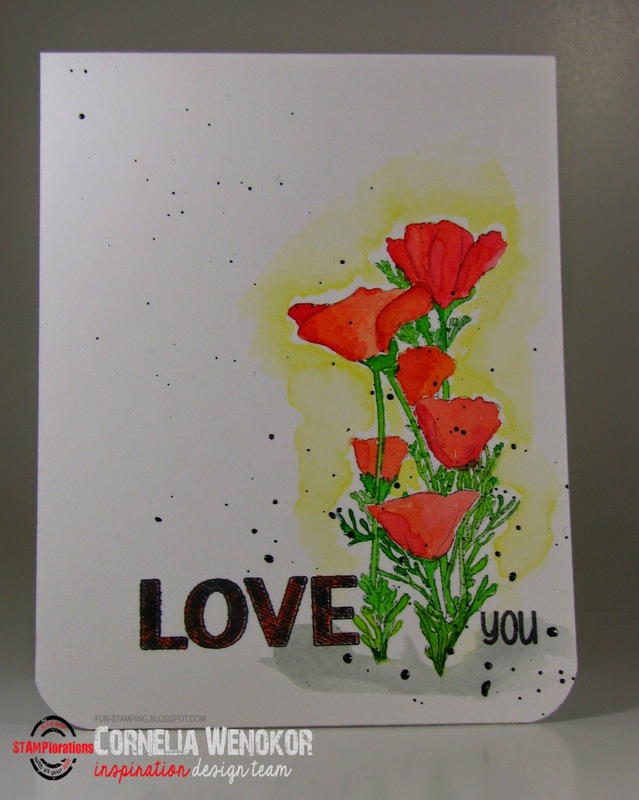 This is beautiful Cornelia...that poppy stamp is on it's way to me, can't wait for it to arrive! Eine schöne Karte, wieder mit Spritzern!!! Ich muss doch etwas mutiger werden und es auch mal damit versuchen. Außerdem sieht es so aus, als bräuchte ich noch einige STAMPlations-Stempel, wenn ich sehe, was du alles tolles damit zauberst!!! you've colored the poppies so beautifully! Wonderful. Love those poppies, beautifully colored!!! This is so pretty, gorgeous coloring !! Beautifully colored! 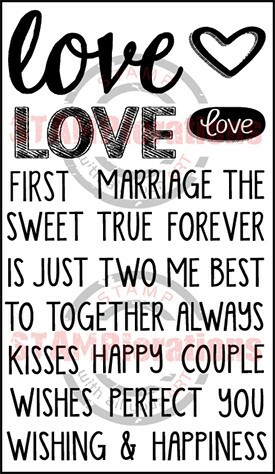 Love this card, Cornelia. Sighh...Your gorgeous card is convincing me to revisit my current "off again" relationship with my distress inks and water-colouring. Perhaps I'll give them just one more chance *grin*. The poppies and background: stunning! Beautiful, beautiful flowers and gosh, this whole card is just stunning!! Way to go - you really did a fantabulous job!!! Hope your day is as amazing as this card is!!! Nice and bright, love the splatters! Great misting and splatters! Love the colors. So pretty. This card is just simply beautiful!! Great job. Such a gorgeous card!! LOVE the flowers!! Absolutely beautiful Cornelia! I love your sweet poppies.